In honor of the Notre Dame men’s basketball team barely squeezing out a victory over Northeastern University in the men’s tourney yesterday, I give this you image of Our Lady’s University. The golden dome atop the Administration Building is one of the most recognizable university symbols in the country. My grandfather Charles Lowry took this photo during a trip to Notre Dame in November 1941. You can see more photos from that trip on this post. 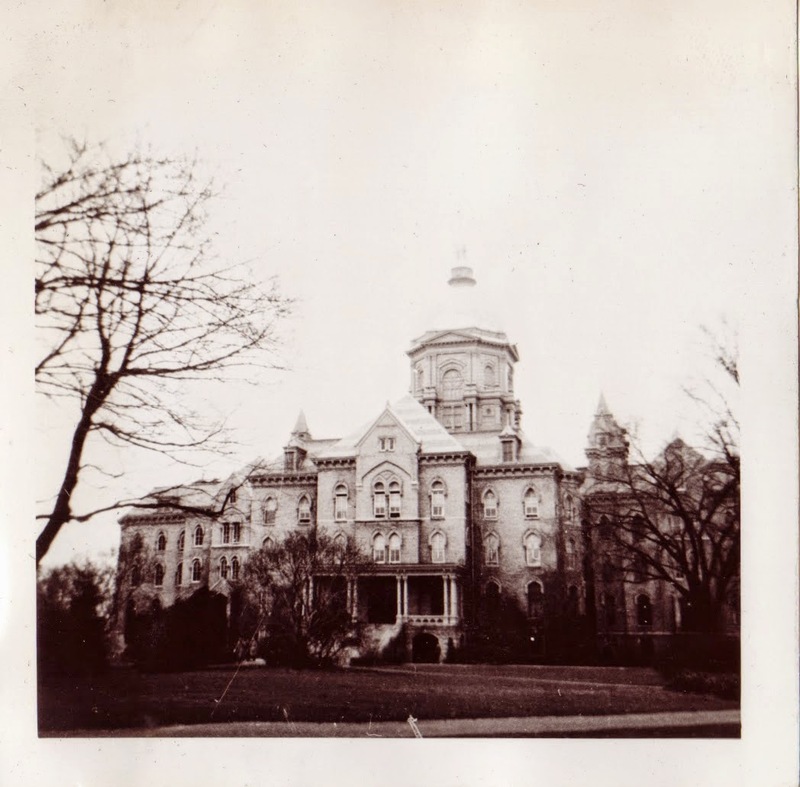 The Administration Building at the University of Notre Dame, photograph, taken on either 21 or 22 November, 1941; digital image, photocopy of original, scanned in 2013 by Joseph Lowry; privately held by Mary McCaffrey, [address for private use], Canton, Ohio. Provenance is Charles Lowry to Mary McCaffrey.